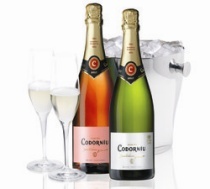 BARCELONA: Cava brand Grupo Codorníu has appointed specialist drinks agency Cube Communications for a major PR push into the competitive UK sparkling beverage market. Its consumer account was won by Cube after a pitch process and encompasses the entire Codorníu Cava portfolio. Cube's brief is to raise awareness of the Barcelona-based Codorníu brand in consumer media and implement Codorníu's social media strategy. The campaign will focus on promoting the drink as bringing the Barcelona lifestyle to UK consumers. Carolyn d'Aguilar, brand manager at Codorníu, said: "This is a major PR push for Codorníu. We need to communicate Codorníu's clear points of difference in a very competitive marketplace to continue to build consumer brand loyalty and grow our market share." Chris Mitchell, director at Cube, said: "Our campaign will combine traditional media relations, campaign-focused activity, and digital communications that will centre on Barcelona, the birthplace of Codorníu."